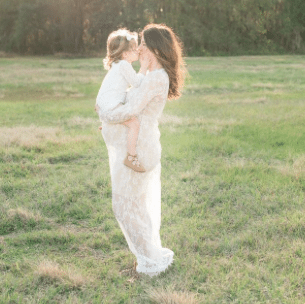 From the moment I held that sweet little babe in my arms everyone told us to cherish these everyday moments, that time is going to fly by. If I thought life before kids was fast, after kids was light speed. Before I knew it my third babe was a walking, talking, mischief making, toddler. How could this be? These everyday moments were slipping between my fingers and I needed to hold onto them for just a little while longer. 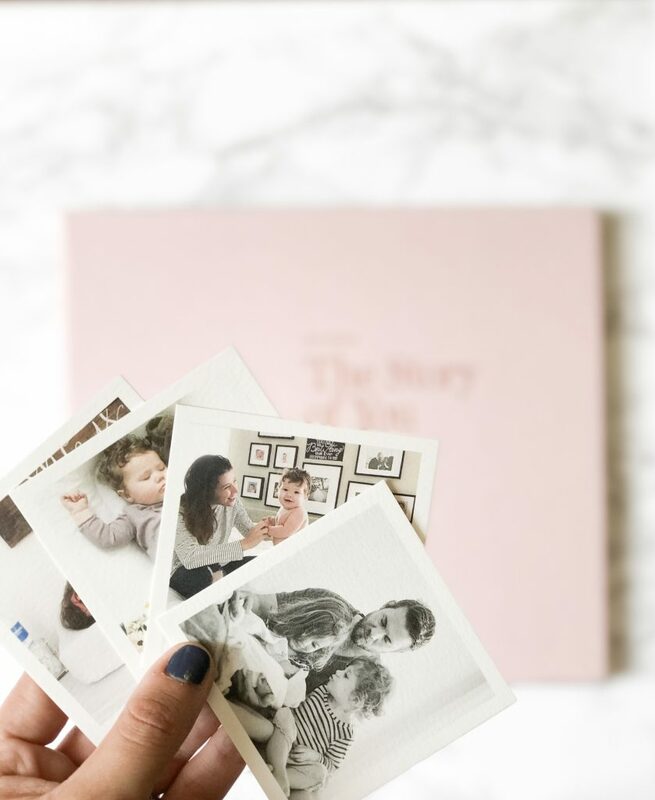 I found myself yearning for something more, I had a baby book for Hazel, but I wanted something more than just the “first tooth” and baby announcement type of memories. I want to honor those everyday moments, the moments that I cherish more than any other. The simple days of snuggles and pjs. The afternoons naps and the way her lips curl when she sleeps. The messy meals and silly baths. The days that filled these last few years weren’t the posed and calculated but the ordinary. I wanted more of those moments to hold onto forever. I love The Story Of You by Artifact Uprising. This baby book isn’t one that I hide on the bookshelf, its one I am proud to display. 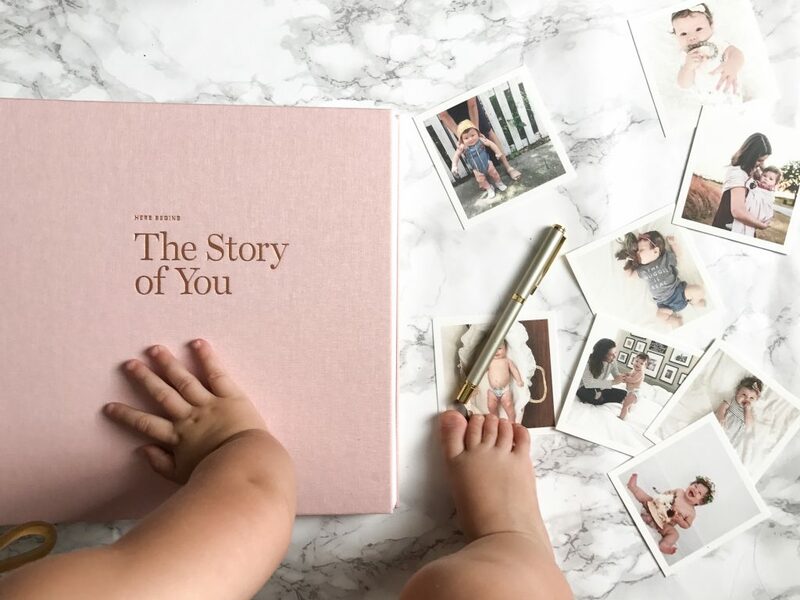 The premium fabric cover with foil stamped title, “Here Begins The Story of You” sets it apart from other books and this is why I chose to make this the book to document Hazel’s most precious moments. 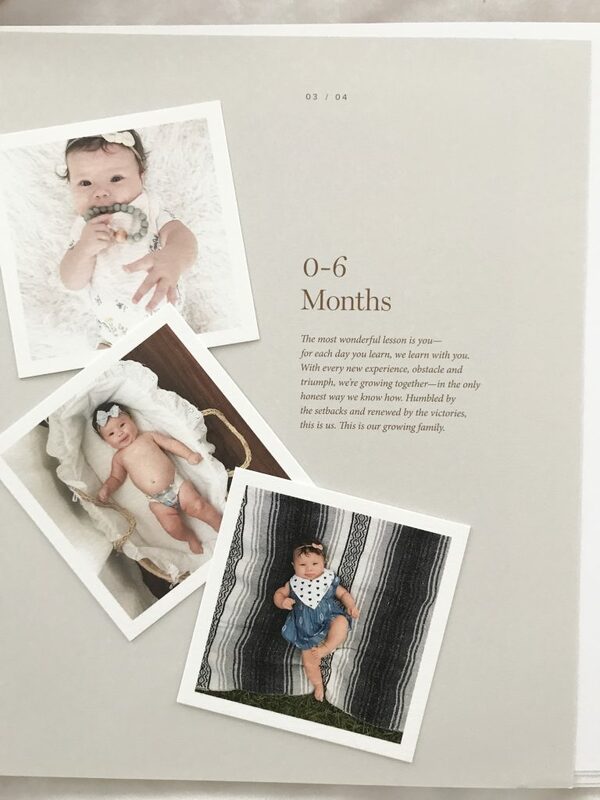 I am sure this book is one Hazel will be proud to hang on to, it’s timeless design and sophisticated look is one she will be proud of for years to come. 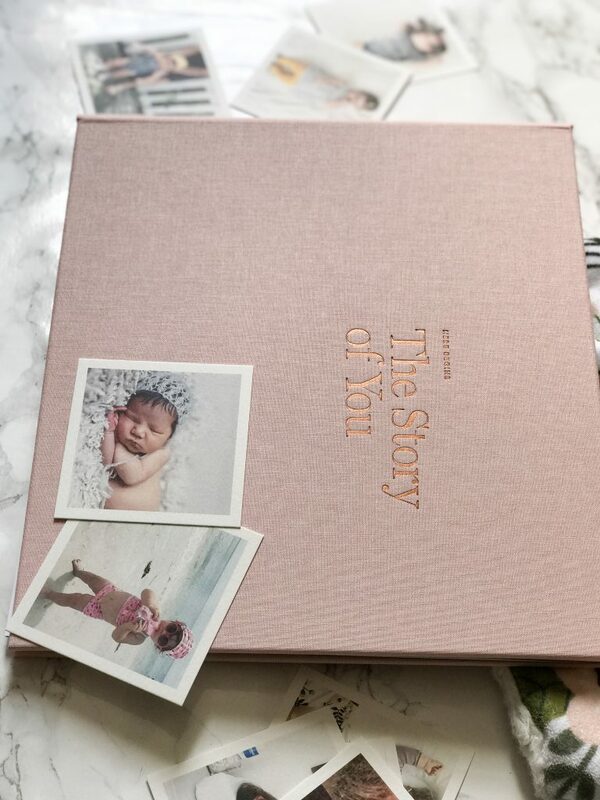 One of my favorite parts of The Story Of You is the way the book leads you to share the everyday moments that are important to you. Every opened ended question prompts a trip down memory lane and one that reminds me of those messy yet beautiful days. I want to remember the easy days, the hard days, the days I couldn’t stop laughing and the days when I wanted to crawl back into bed. I want to remember it all because I loved her in every single one of those moments. All of those days, the good and the bad, brought me here. To a place filled with love and gratefulness. I never want to forget all of the days, the good and the bad, because no matter the day, she made my life so much sweeter. Creating this book was so easy (and very emotional). My book came with a pen and adhesive, and is bound with 4 metal rings to make it easy to remove or rearrange pages. 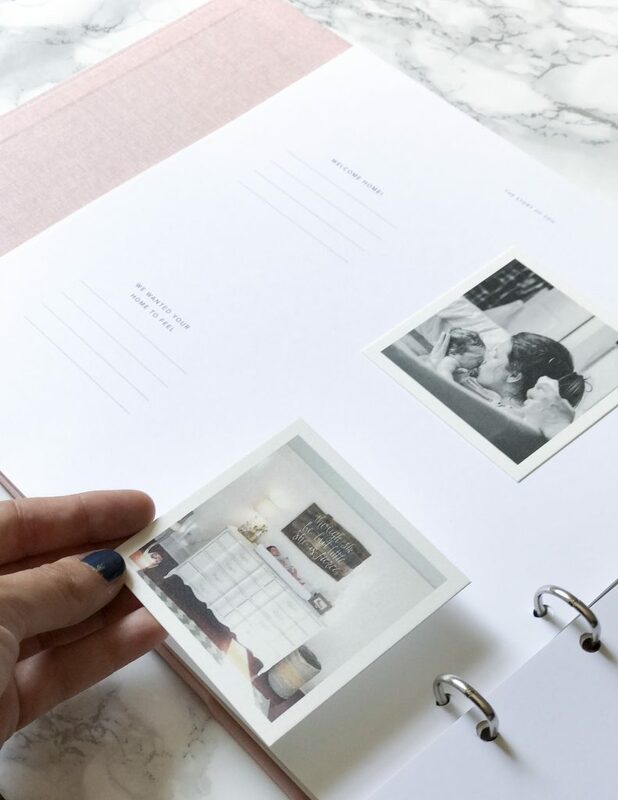 It also includes print credit for your first set of Everyday prints. 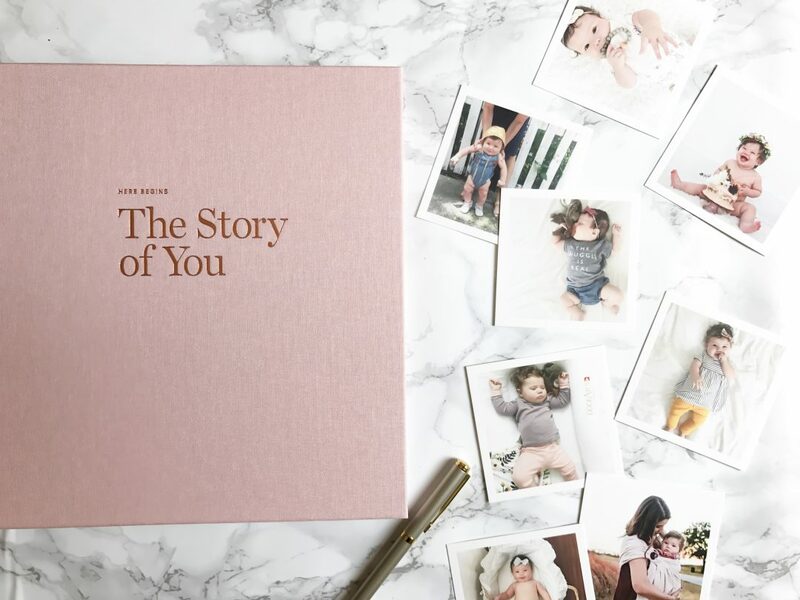 I have a coupon code to share with all of you so you can have one of these beautiful books for yourself or impress the mom to be at your nest baby shower. As I sit with my girl in my lap I think about the wonderful journey we have been on together. I look forward to reading The Story Of You with her tomorrow, the day after, and for the next thirty years. I can’t wait to fill it with those everyday moments that make our days so special. Want to read more of Hazels story? 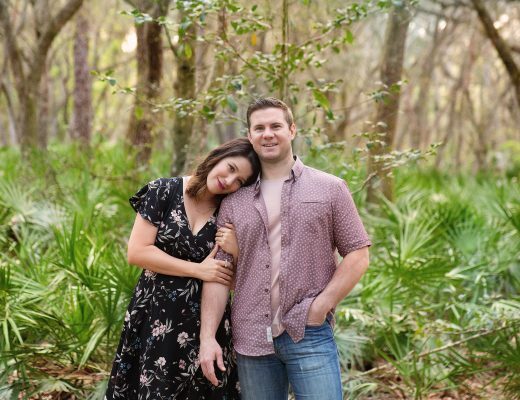 Here is her emotional birth story. Also I share how we have dealt with Hazels congenital condition. I really need to get it together and put together my kid’s baby books! These books make it sound less intimidating. Thank you for sharing! So pretty! I love the colors. I think every Mom feels like she should do better at keeping up with baby books. This might make it easier! This is adorable! What a great idea. Love the aesthetics. My youngest is three and I’m just now working on putting her baby book together. This is beautiful! I really need to do this for my boys! It’s so hard to find the time, but it really needs to get done because time is fleeting. Gorgeous babe btw! Hi Diana! I found you on #FridaySharefest on #TBB. 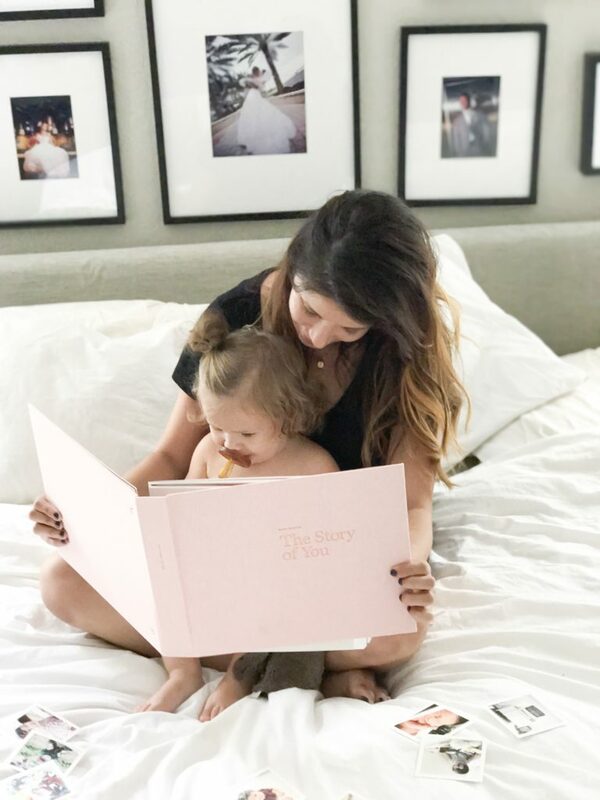 With my first daughter, I worked really hard on making the perfect baby book… Slacked off my my second… And totally failed my my last child’s book! Wish I had heard of these books 2 years ago! Just added you to my list of bloggers to follow! This looks awesome! I totally need to keep this in mind for when my husband and I decide to have kiddos. I know what you mean – the typical baby books don’t have enough room for the everyday things! This story of you book is amazing! I’m going to get one and thanks for the 10% off! 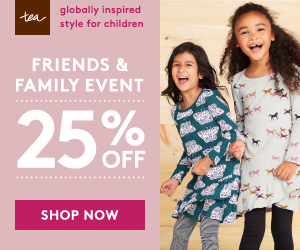 So grateful to share with you, Diana! Such a wonderful post. Wishing you and your family a happy season!